From the Star Wars The Force Awakens collection by Schylling. 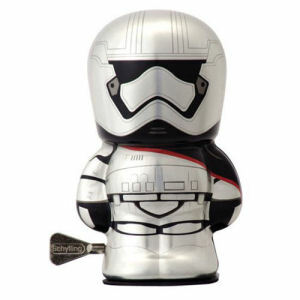 Star Wars The Force Awakens Captain Phasma 4 Inch Windup Bebot. From the Star Wars The Force Awakens collection by Schylling. Star Wars The Force Awakens Captain Phasma 4 Inch Windup Bebot. This Wind-up character stands 4 inches tall. Ages and up. Schylling Star Wars Toys shipping from Canada. No Surprise Border fees or Customs!